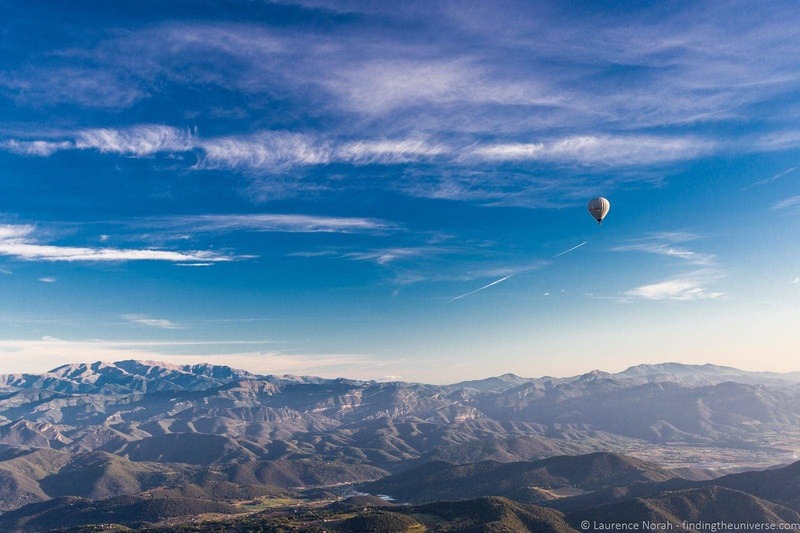 We’re lucky enough to have been ballooning in Spain twice, once over the Spanish Pyrenees in the La Garrotxa region, and once over the Costa Brava region of Catalonia. 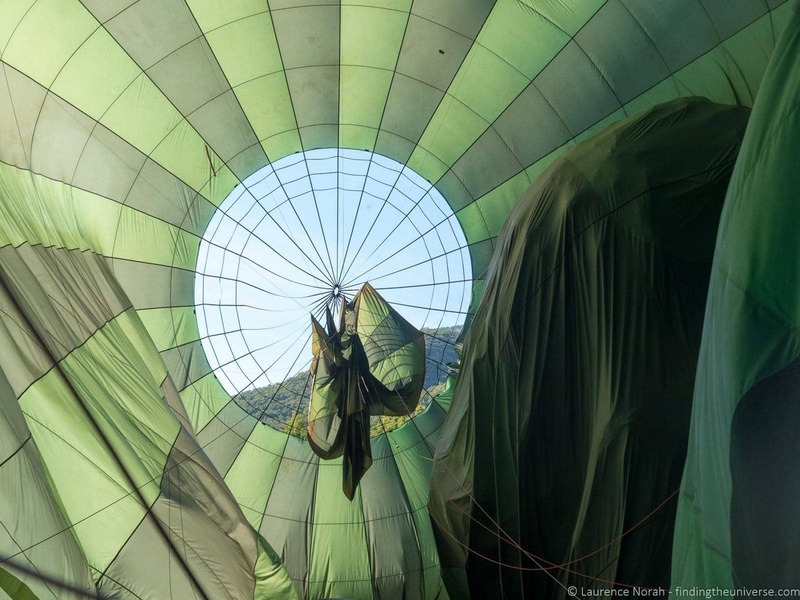 You can read about our experience ballooning in Costa Brava here. 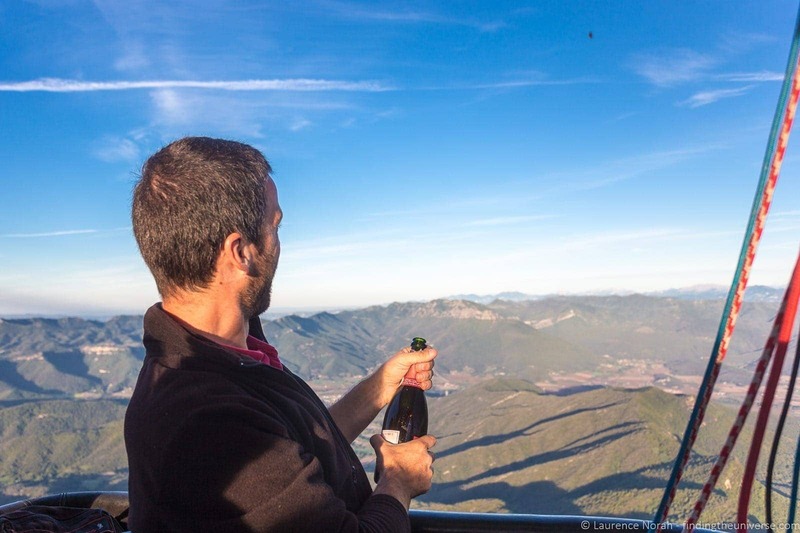 This post will focus on our time ballooning over La Garrotxa, a beautiful volcanic natural park that forms the foothills of the Spanish Pyrenees. This particular hot air ballooning trip was Vol de Coloms. departing from near the town of Olot. 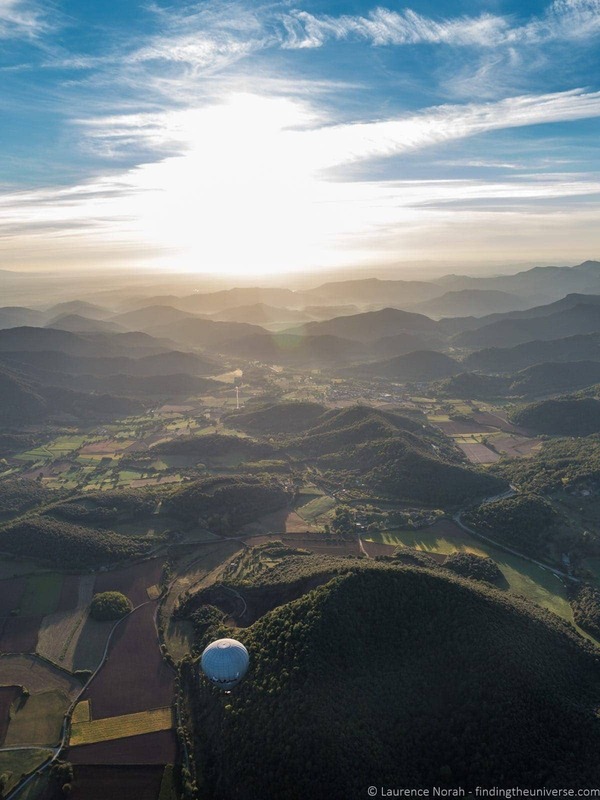 Read on for our full experience ballooning in La Garrotxa, including lots of photos, as well as information for you to plan your own epic balloon adventure in Spain! 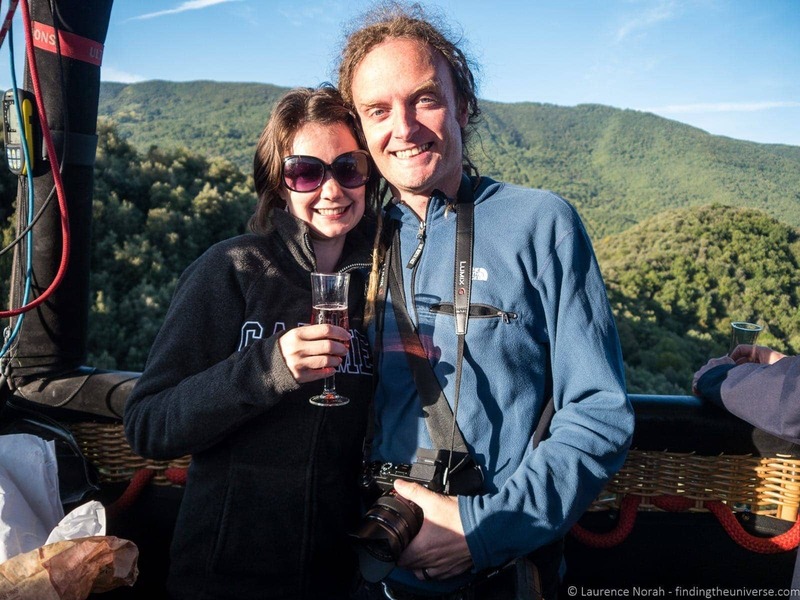 Our trip with Vol de Coloms started early, as it the case with most hot air balloon rides. Balloons tend to lift off at sunrise as this is the calmest time of the day in terms of wind, and hot air balloons will usually only fly with low wind conditions. The following photos will take you through our experience with Vol de Coloms, from inflation through to take-off, champagne, landing and breakfast! Getting ready for the off. Looking over the edge as we took off over the last balloon to leave that day. Our balloon had ten people in the basket, plus the pilot. Ballooning is awesome! This is the view over the volcanic foothills of the Pyrenees, all the way out to the coast. Not a bad way to start the day, I think you’ll agree, and worth the 5am wake up. This balloon came with champagne. Shouldn’t all balloons come with champagne? The eagle eyed amongst you will spot the cork in this shot! 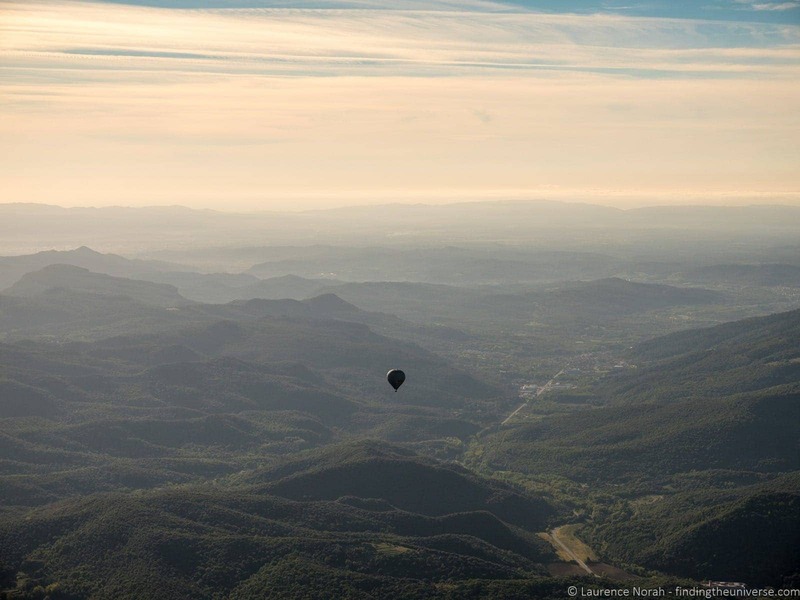 Our pilot was incredibly knowledgeable, and shared all sorts of information about the area we were ballooning over, as well as the surrounding landscape of the Garrotxa region. He also explained a bit about how to fly a balloon, and the process for becoming a pilot. I’ve added it to my list of possible future careers in case travel blogging doesn’t work out. Mmm, champagne. Sunrise. What more could you want? That blob in the sky is another balloon. I know what you’re thinking. 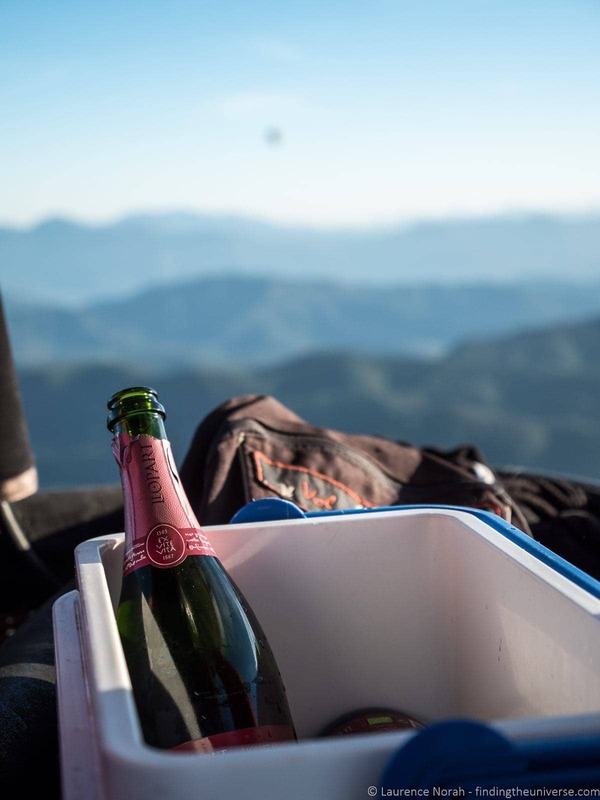 Holding champagne for prolonged periods of time can be a real challenge, particularly when trying to take pictures. 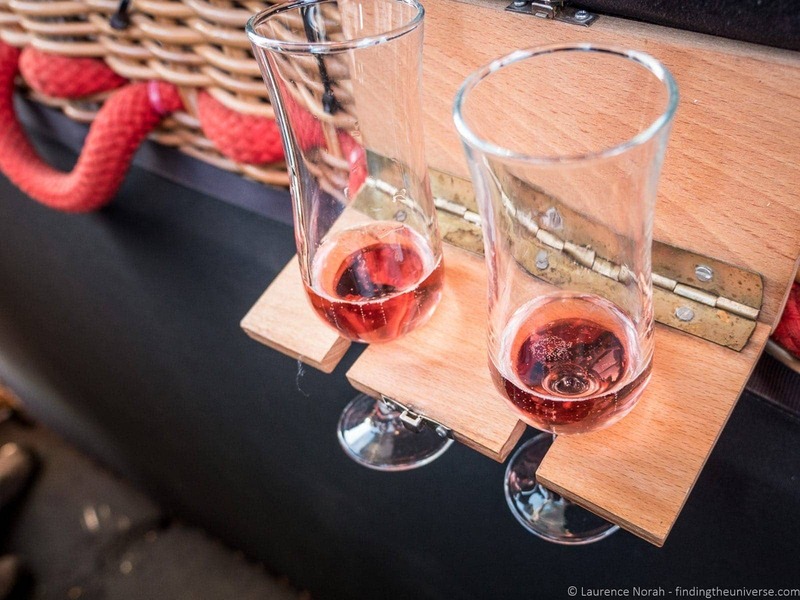 Thankfully, our balloon was equipped with champagne holders to relieve the pressure. All modes of transport need to be fitted with these. And champagne. Oh, that’s just us. 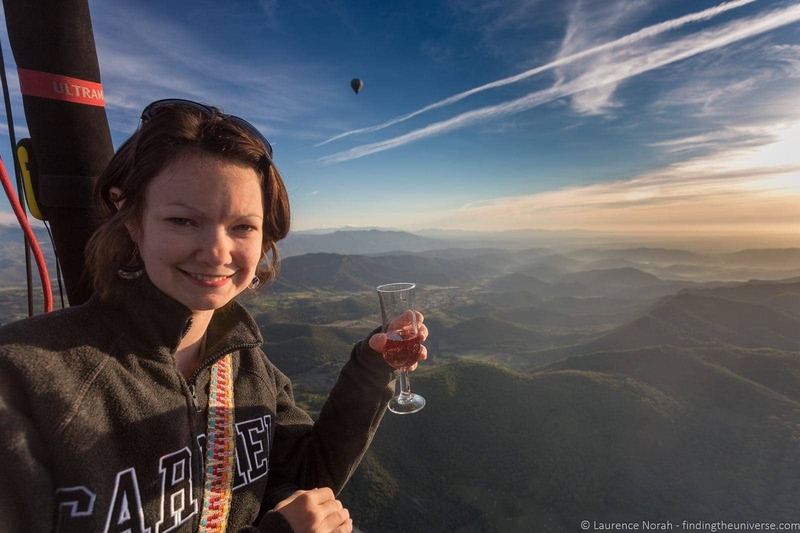 Drinking champagne over volcanoes at 9am in a hot air balloon. Balloons are so pretty. Costa Brava is so pretty. Everything is pretty! Yeah, it was a nice day. Sometimes you just want to peer over the edge and take a photo. We didn’t crash, although a tree may have been used as a brake. This is the balloon deflating. After a couple of attempts at finding a landing spot, this was where we ended up. After the balloon experience, which was magnificent, we headed back to the Vol de Coloms base we’d started from, where a magnificent feast was waiting for us, including (obviously, this is Catalonia), a massive plate of ham, freshly grilled sausages and a magnificent pot of white beans, all accompanied by bread, wine and water. 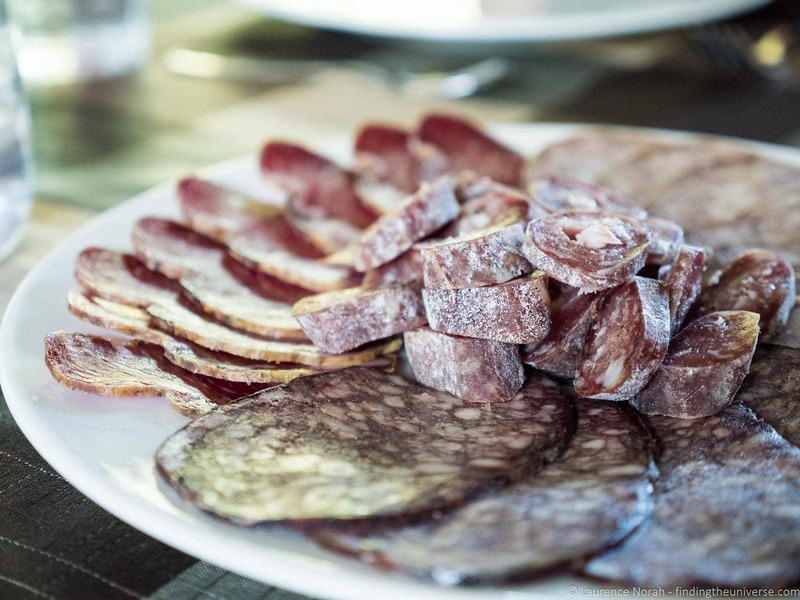 It was an epic feast, and reminded me of that time I overate in Costa Brava the first time I visited. 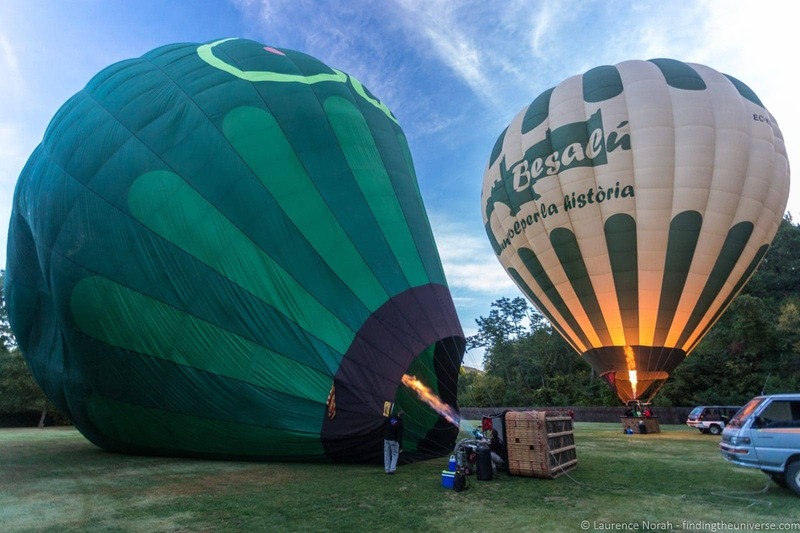 Here are some tips and information to help you plan your own hot air balloon ride in La Garrotxa. Hot air balloon flights generally last between 1 hour and 90 minutes, although this varies depending on finding a safe landing spot. The flight we took was a group flight, with ten people total in our basket, plus the pilot. The basket is divided up so usually there are 2-4 people per compartment, and the pilot regulatory rotates the balloon in the air so everyone gets the same views. The flight we took with Vol de Coloms included a morning pre-flight coffee, champagne during the flight, and an excellent post-flight breakfast. It also included transfers back to our car / departure point from the balloon landing point, but we were responsible for getting to the departure point ourselves in the morning. It’s early in the morning, so you’ll either need your own transport, or to arrange a private transfer in advance. 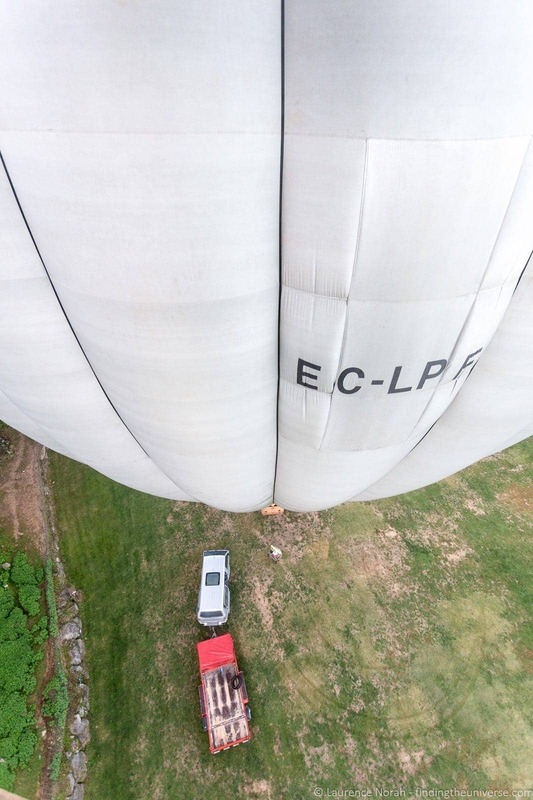 Overall, I can highly recommend the Vol de Coloms ballooning experience. It was fantastically well organised, the pilot was friendly and knowledgeable, and the ride included cake and champagne, followed by all the food I could eat. When we were done, we were also presented with a nice certificate, to prove we’d made it. 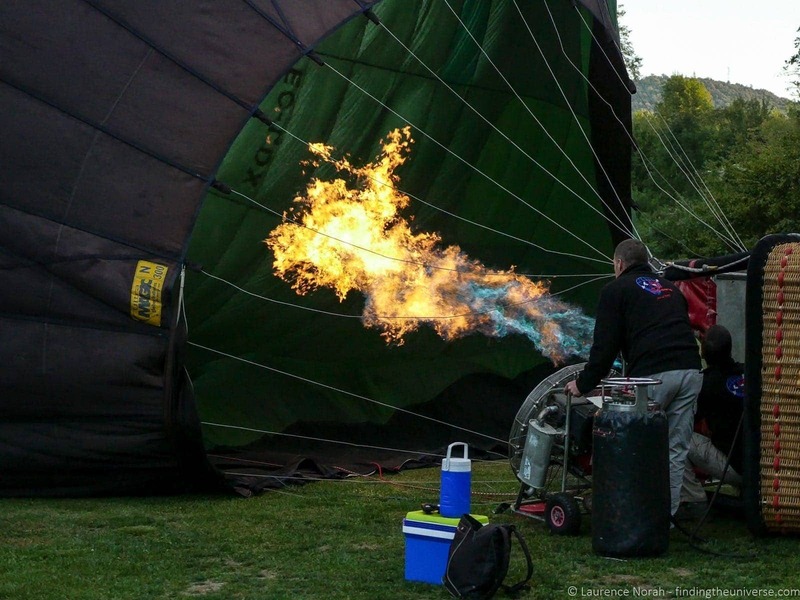 If you’re interested in taking a balloon ride over this region, Vol de Coloms has a wide range of options to suit a range of budgets, from group ballooning to private balloon hire – take a look at their website for all the options. 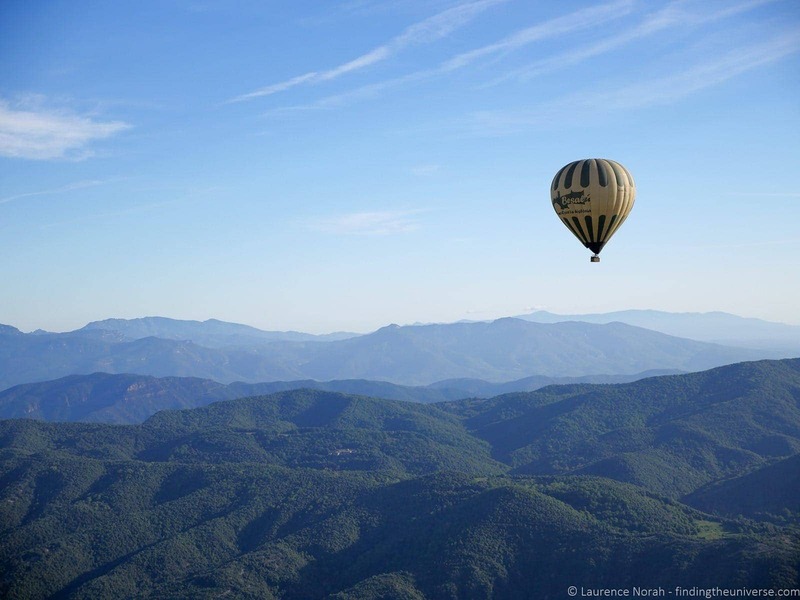 We appreciate that not everyone is going to have their own transport, so there are a number of tour options that you can take which also include transport, including hot air balloon tours from Barcelona over La Garrotxa. 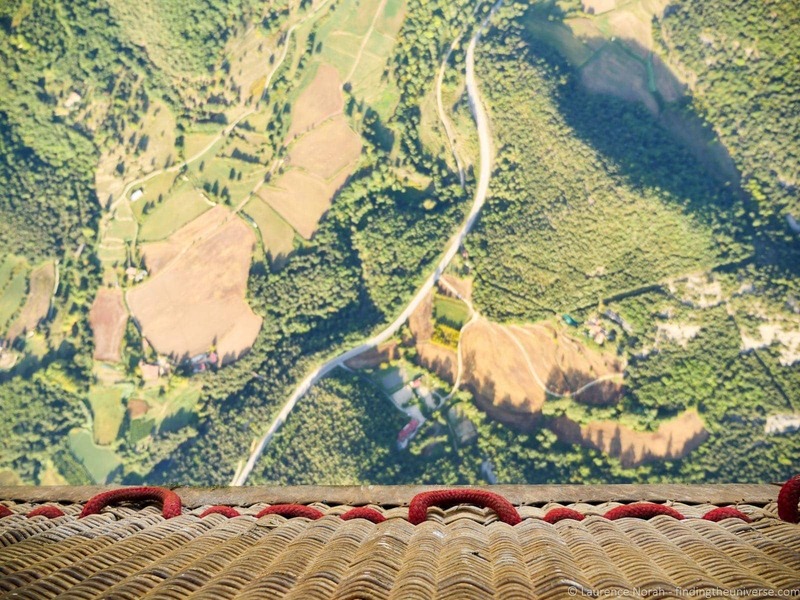 This is a private hot air balloon ride over La Garroxta, departing from Barcelona, which also includes a visit of the beautiful medieval town of Besalú. 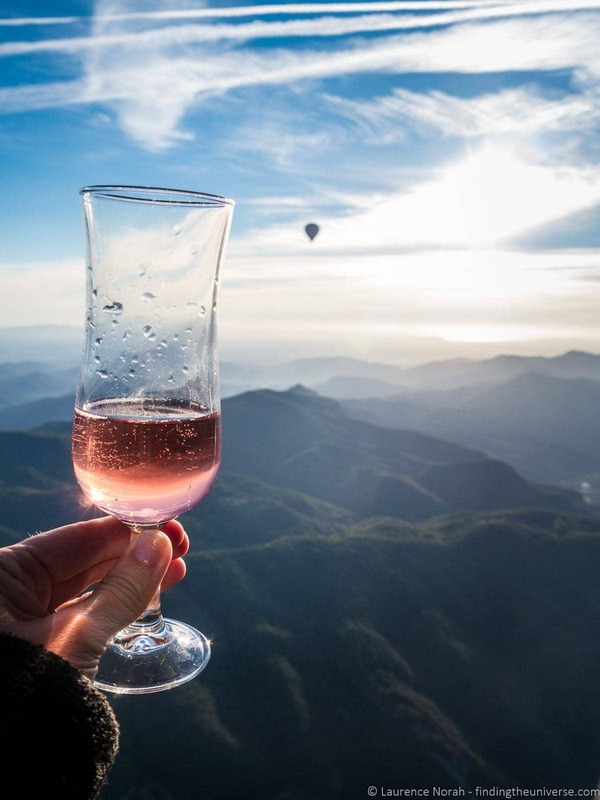 And this is a private balloon tour with departure from Barcelona, which offers a seated ballooning experience, included photos, and a full meal. 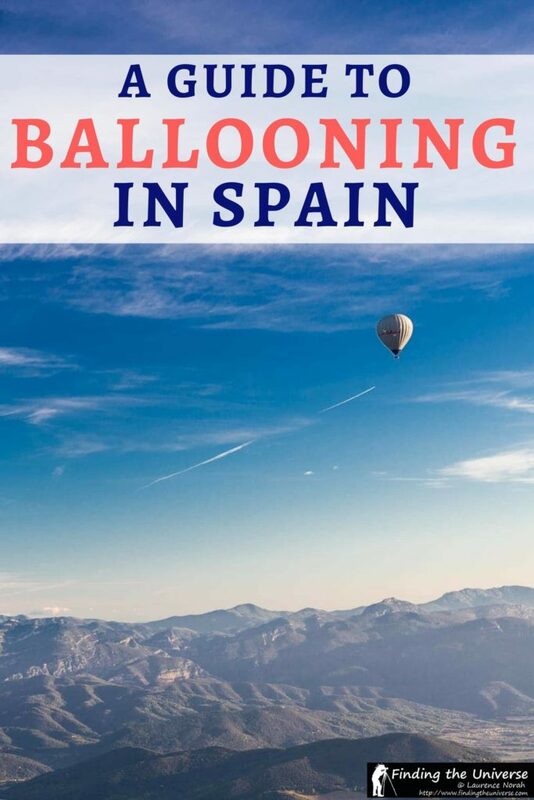 Hopefully that gives you an idea of some of the options you have for ballooning in Spain near Barcelona! And that’s it! 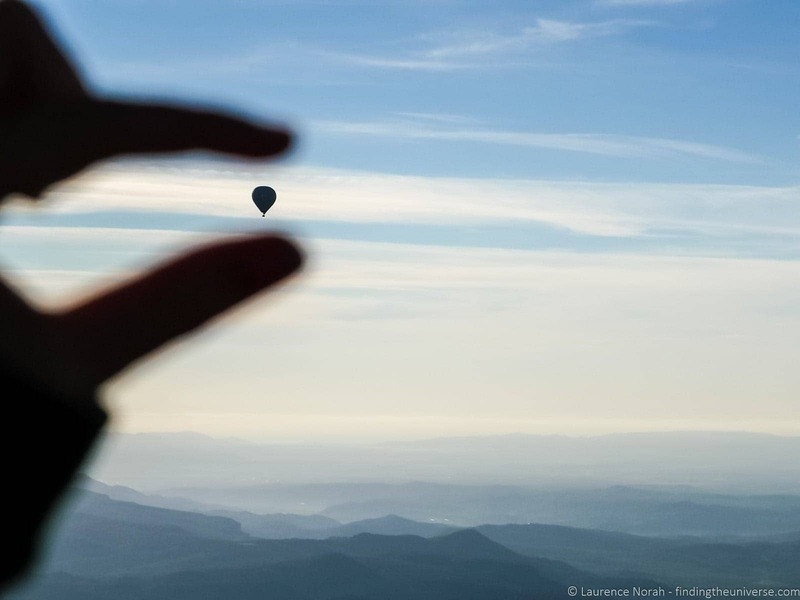 Have you ever been hot air ballooning? 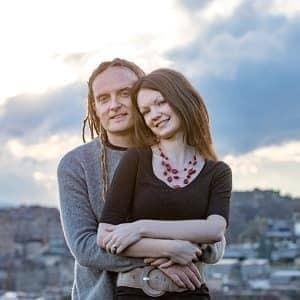 Have any questions about our experience? As always, feel free to ask us questions or give us feedback in the comments below! 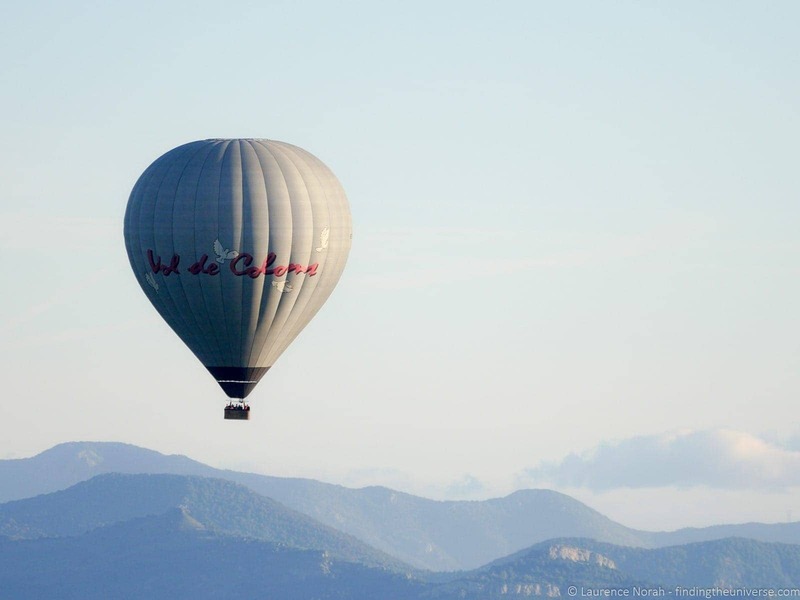 So you know: My balloon ride with Vol de Coloms was provided as part of my resident blogger experience here in Costa Brava, in partnership with the local tourism board. Read more how I choose who to work with on my code of ethics page.